Set over more than 50 acres in Irvine, the Mariners Church is a non-denominational Evangelical Christian house of God in the center of Orange County. The complex features playing fields, a sprawling lake and plenty of greenery, making it not only a beautiful location to exchange vows, but also capture couple portraits, bridal party portraits and family formals after the ceremony. While their main worship center seats almost 4,000, weddings are held in their more intimate chapel. This beautiful venue can hold up to 260 seated guests and can be booked on either on Fridays or Saturdays. 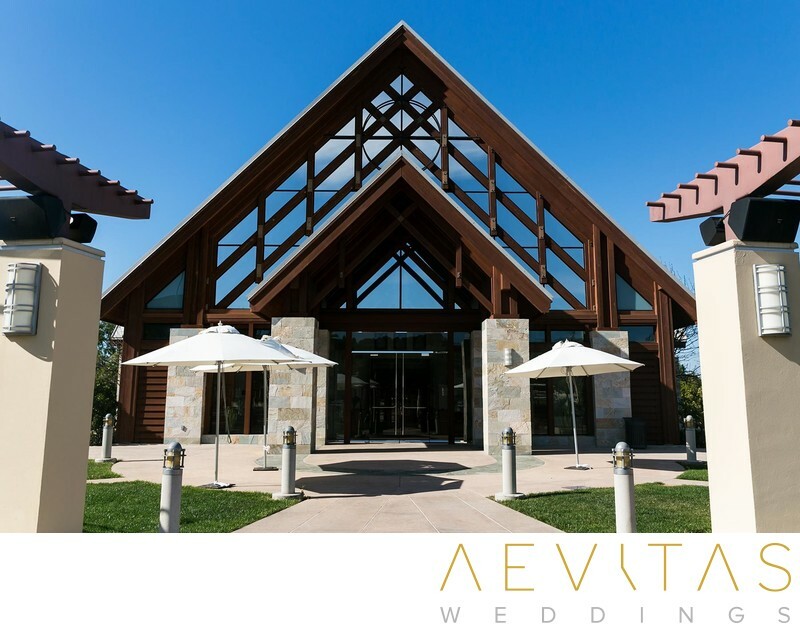 For larger events, you can opt to use their Upper Room or hold your ceremony outdoors on their grassy lawns. All of the spaces can be customized to some degree with your own floral arrangements and decorations, whilst respecting the religious significance of the venue and its decor. They offer wedding coordinators to help organize your event, along with you and your own wedding planner, as well as a selection of Mariners Church pastors who will officiate your service. As a modern church, Mariners Church is flexible with many of its rules, allowing extensive wedding photographer access throughout the ceremony to capture unique and high quality images. Spotlighting at the altar will highlight you and your loved one throughout the ceremony, while a platform elevates you slightly so that your wedding guests have unobstructed views. The architecture of Mariners Church is elegant both inside and out, making for beautiful couple portraits after the ceremony, as well as bridal party portraits and family formals at the altar. You can use the extensive grounds of the church for portrait sessions, most notably the lake which is illuminated richly in the late afternoon. While many couples choose only to hold their wedding ceremony and portrait session at Mariners Church, they do offer reception spaces both inside and out, with catering provide by their on-site Mariners Cafe. Couples should be aware that no alcohol is allowed on the campus for reception events or during the ceremony, including champagne for toasting. In keeping with the Christian values of the church, all couples who choose to hold their wedding ceremony at Mariners must participate in their Relationship Foundations class which equips them with the skills for a long lasting and successful marriage.